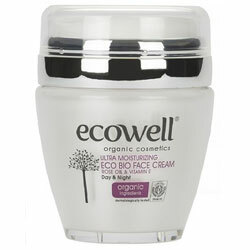 Nourishing, protective and moisturising cream formulised for sensitive face care. 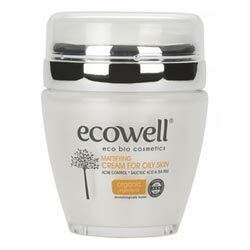 Thanks to non-oily formulation the skin rapidly absorbs the cream. Ingredients vitamin E, organic argan oil, organic apricot oil and organic rose oil have very strong moisturising and protecting effects. Makes the skin soft and smooth.Rapid and intensive moisturizing effect with a fast absorbing formula suitable for applying under make-up. Vitamin E is one of the 5 most potent nutrients that deliver anti-aging effects for skin. It is famed for its high content ofstrong antioxidant properties, helping protect the skin against aging as well as reversing age-related damage. It is one of the most effective moisturising ingredients in skin care and it is essential for skin health. Argan Oil is healing and is rich with vitamin A and vitamin E. It is also packed with antioxidants, Omega-6 fatty acids, and linoleic acid. When applied to skin, it eases inflammation, moisturises the skin and helps to boost cell production while promoting healthy skin and hair. A natural cicatrizant, it also heals wounds and scars. This marvellous oil also reduces sebum; suppressing oily skin and acne naturally. Argan oil has become famed for its numerous benefits and is a prized element for cosmetic use, most often for the hair and dry skin. Rich in Vitamin A, apricot oil gently moisturizes balanced skin, oily skin and hormone reactive skin. 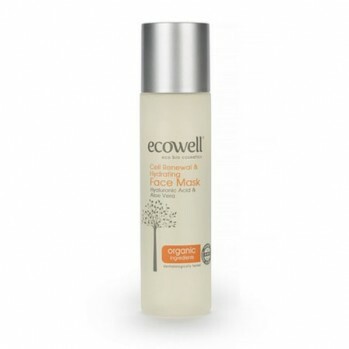 It is especially useful for oily complexions and is gentle enough to use on any skin type. Apricot oil also helps rehydrate dry, sensitive, inflamed or prematurely aging skin. When applied to skin, it eases inflammation while moisturising the skin and helps to boost cell production; promoting healthy skin and hair. Its antibacterial and antiseptic properties protect skin from infection. Rose Oil has restorative properties for dry or delicate skin. 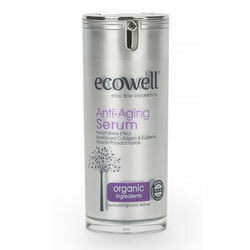 It replenishes moisture and reduces the appearance of fine lines. It also contains antioxidant properties, assists in skin renewal and is a natural astringent maintaining optimal skin health, leaving skin moisturized, smooth, and glowing. It is also an antiseptic and a natural cicatrizant; disinfecting skin and healing wounds and scars. How to use: Gentle massage adequate amount of cream onto clean skin. Suitable for day and night use. Ingredients: Aqua, Cetearyl Alcohol, Coco-Caprylate/Caprate, Dicaprylyl Carbonate, Glycerin, Cocoglycerides, Tocopherol, Disodium CetearylSulfosuccinate, Phenethyl Alcohol, **PrunusArmeniaca Kernel Oil, **ArganiaSpinosa Kernel Oil, Xanthan Gum, Ethylhexylglycerin,**Rosa Damascena Flower Oil.